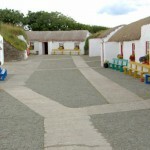 Traditional Irish Thatched Cottages – In olden times the thatched cottages were very popular throughout Ireland. They provided homes of character, comfort and beauty which varied from one region to another in response to local climates and conditions. The use of local building materials meant that they blended effortlessly into landscapes of which they were a part of. 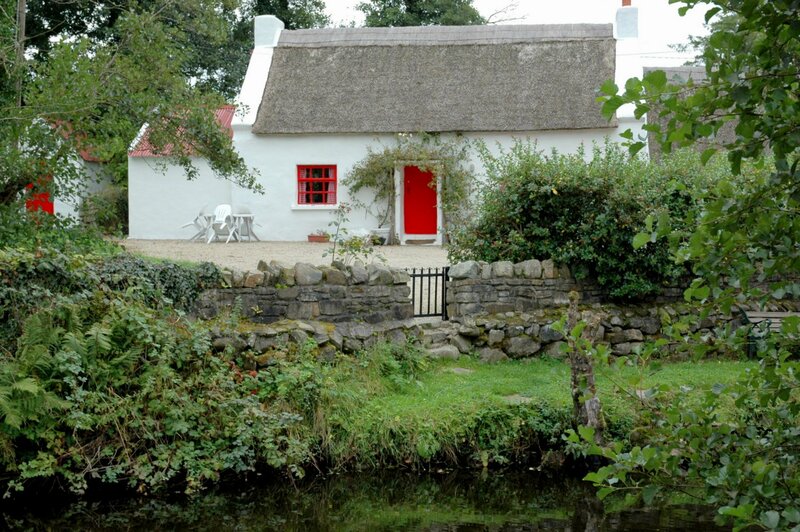 Their clay or stone walls was gathered from the earth on the spot where they were built, their timbers were dug from the local bogs, their thatch was harvested from the fields.